CLAIR collects information about all sister city relationships in Japan through prefectural governments and designated cities (local governments that are not designated cities will submit through their prefectural government). Here you can find information about the number of sister city relationships (updated every month) and the trends in sister city relationships (updated every year). 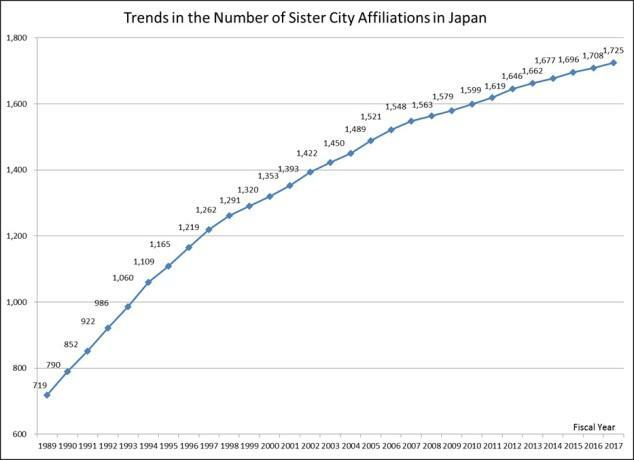 The graph below shows the trend in the number of sister city relationships throughout Japan.